Many oral bacteria can breed inside your mouth. If these oral bacteria are left alone, they can cause viruses, gum diseases, tooth decay, and other common oral infections. 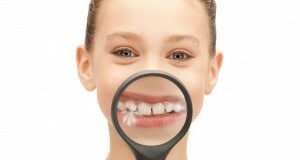 Both adults and children can suffer from these ailments unless proper oral care is practiced. Most of the infections caused by these oral bacteria can be prevented with proper oral hygiene. It is even easier to remedy the infection while one is still in childhood. If the ailment is severe, then one will need to go to a dentist and ask for advanced dental assistance. If you know what oral ailments can occur with the bad bacteria, you will know how to prevent them. After all, you will know what caused the oral ailment. Here are some of the common dental ailments that come with poor oral care. Dental caries. The dental caries is actually the primary result of tooth decay. It is also the most common dental infection known today. The dental caries is considered to be the leading cause for tooth loss in kids under the age of 12. It is the kind of oral infection that is caused by bad bacteria called Streptococcus mutans. Gingivitis. Gingivitis is the medical term referring to early gum disease. Many types of bacteria cause the said oral infection. When the bacteria settle down in the crevices of the gums, they produce toxins afterward. The gums will then react to the produced toxins with swelling and inflammation. Sometimes, the gums will even bleed while you are brushing the teeth. Adults are usually the ones who are suffering from gingivitis. If this oral infection is left without any treatment, it will lead to periodontal disease. Periodontal disease. This particular disease is one where gingivitis is spread below your gumline. It will then affect your bone along with the supporting tissue. There will be pockets forming around your teeth, which then give way to bone loss and inflammation. Due to the destruction of the bones, the teeth will loosen significantly. Periodontal disease is considered to be the most common cause of tooth loss. Herpangina. 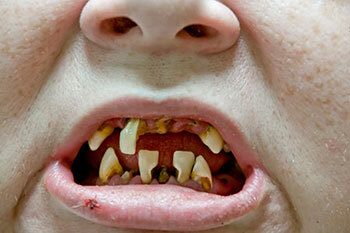 The said oral disease commonly infects kids aged three to ten years old. It is common during the fall and summer seasons. The symptoms of herpangina include difficulty in swallowing, sore throat, and fever. It will then be followed by blisters behind the mouth. If these blisters rupture, they will become large ulcers. Herpangina lasts anywhere from three to five days. Hand, foot, and mouth disease. School-aged kids are the ones who are highly likely to develop the said disease. The first symptoms would be fever and sore throat. After that, slightly painful blisters appear on the tongue and inside the cheek. The same symptoms will even show on the soles, buttocks, and palms. The infection will disappear within three days. Canker sores. These are lesions forming on the gums and mouth tissues. It is a common ailment in adolescents and children. The canker sores are most likely caused by hormones, food hypersensitivities, immune problems, and stress. These are just some of the common problems that arise with improper oral care. Others may include thrushes and oral herpes. Give your mouth proper oral care to avoid these oral ailments. Many manufacturing companies have tried hard to formulate wonder oral remedies that will cure, treat and prevent oral problems. In the wide array of tooth paste, mouthwash and all other laboratory based oral care ingredients; you will then discover that they all have their equivalent natural home remedies that you can choose from. There is nothing in using laboratory based oral care products; however, we should expect then that each of these have their corresponding side effects that might just contribute in damaging the normal flora of our mouth. – One of the major reasons why our mouth is suffering from bad breath is because of the sulphur content of the foods that we are eating. Several food ingredients such as garlic and onions possesses high amount of sulphur. These will not just contribute in giving you bad breath but are also considered as means of damaging your teeth. In order to combat such distraction, you can make use of green and/or black tea which is usually found at your home. Green and Black Tea are known to combat or minimize sulphur production, thus enhancing the smell of your mouth and will also strengthen your teeth from cavities. – Our saliva is not just there to moisturize our oral cavity. In fact, one of its major functions is to combat accumulation of bacterial build up which will help prevent bad breathe. There are times when we feel dehydrated, you will notice that we gradually develop bad breath; this is because the production of our saliva will be minimized. So, in order to promote better salivary production, you can gobble up something to eat such as celery, apples and carrots. – Pineapples are commonly known to be fibre enriched which is known to enhance your metabolism, thus preventing constipation. What we do not know about this fruit is that it contains bromelain enzyme which is known to be a stain remover. So, eat up lots of pineapple now for the reason of not just to promote better metabolism but to also whiten up your teeth. – One of the most common natural home remedy is with the use of baking soda and hydrogen peroxide. Both ingredients acts as stain remover which will give you better effects when applied to the teeth. – We may be new to this, but coconut oil contains natural germ busting properties. What you have to do is to swish wash that coconut oil in your mouth for a couple of minutes and then spit. You can opt to rinse with water afterwards. There are several home remedies that you can find readily accessible at your kitchen to help you out with your oral care problems. All you have to do is to be patient and be open to new suggestions when it comes to natural remedies for you to have a better, fresher and stronger oral care clean. Bad breath is one of the embarrassing issues that actually hamper your social life. If you have bad breath, do not immediately panic. After all, you still have some ways to reverse that problem. You can improve the situation by consistently practicing good oral care habits. Here are some of the oral care habits that you should establish to be able to completely remedy bad breath. First, you should brush your teeth regularly. By brushing your teeth regularly, you can remove the bacteria causing bad breath from the teeth and gums. It is highly recommended to brush the teeth at least two times a day. You might even want to bring a toothbrush at work since there are odors you can remove after a meal. The toothbrush should be the soft-bristle ones. Do not overlook your tongue. Make sure that you brush your tongue as well since it can also harbor tiny food bits and plaque. When cleaning the tongue, brush it across to remove bacteria and food which causes bad breath. Some people have a coated tongue. If you are one of those people with a coated tongue, then you should consider using a tongue scraper. Flossing your teeth at least once a day can also help you remove bad breath. By flossing, you should be able to get rid of the plaque hiding in between your teeth. By flossing, the tiny food particles trapped in between the teeth can be removed as well. Know that flossing is as essential to oral care as brushing your teeth. If you are wearing dentures or retainers, you have to clean them as well. Keep them clean so that they do not harbor any bacteria that can cause bad breath. If you have a denture, remove it at night and brush it using dental cleansers. If you are using a retainer, then clean it thoroughly before you put it right back in your mouth. There are beverages that you should avoid as they can cause bad breath. These beverages include alcoholic drinks like whiskey, wine, and bear as well as coffee. These beverages leave some residue behind. Moreover, the residue sticks to the plaques in the mouth. You might want to be wary of odorous foods. There are many strong-tasting foods that leave odors in the mouth. It is especially true when you eat cheese, onions, hot peppers, and garlic. The scent will linger after a meal. If you can, you can try avoiding eating these food but since they are healthy food items, you can just look for ways to alleviate odor problems. Natural breath fresheners are quite helpful too. There are spices and herbs that you can consider stocking up in your kitchen so that you can freshen up your breath. For example, there is parsley which contains the natural deodorizer chlorophyll. Mint tea will also improve your scent, especially after a meal. Keep your mouth hydrated. If you have dry mouth, then that will definitely cause bad breath. Drink a lot of water – not soft drinks, alcohol, and coffee – so that you can prevent your mouth from drying. If you have a severe case of dry mouth, then you should consider looking for a dentist to prescribe an artificial saliva for you. Which of these dangerous dental health issues do you already have? According to the American Dental Association, the overwhelming majority of people in the United States – men, women, and children – are living with some kind of dental health issue that they aren’t even aware of. Sure, most of us visit the dentist regularly (at least for an annual checkup and especially when we’re dealing with an oral health problems that we notice or one that impacts our day-to-day lives), but most of us try to avoid the dentist is much as we can. There’s just something about sitting on that chair with a giant light above us with a man or woman poking around in our mouths that we aren’t all that comfortable with. Unfortunately, dental health issues and oral health issues can have a transformative impact the rest of your body, which is why you need to address these issues ASAP before they have a chance to really do a number on you. This is why it’s so important to visit your dentist at least once a year for a checkup, and why it is so critical that you follow accepted guidelines for maintaining and improving oral health as closely as humanly possible. That means brushing twice daily, using the right toothbrush and toothpaste, flossing like it’s your job, and falling back in love with fluoride. Regular cleanings at the dental office wouldn’t hurt, either! And if you think you may be dealing with some of the dangerous dental health issues that millions and millions of Americans are living with right now, you’re going to want to pay attention to the details we have for you below. And abscessed tooth is essentially an infection that starts at the “pulp” of your tooth before it settles into the root (usually right up against the jawbone) before it creates a swollen and pus filled pocket on your guns. Most people that are dealing with abscessed teeth notice it almost immediately, as this is one of the most painful dental health issues you’ll ever come across. It’s going to make chewing really difficult, it can induce pain and fevers, and it can cause a world of bad breath that is almost impossible to kick. Most of the time, as assessed teeth can be addressed without too much trouble, but those that get more serious are going to need to have the tooth removed, or even a root canal performed. Probably the most common type of dental health issue that almost everyone has had to deal with once or twice in their lives, cavities affect everyone (young and old) pretty equally. Essentially pockets of damaged tooth enamel that are formed when acid eats away at the tooth, cavities are dangerous because they are hotbeds for bacteria to grow in. They carry absolutely love these little pockets, and they multiplied like crazy – producing a bunch of acid in the process that works to continue to erode the teeth away even more! Small and superficial cavities can be filled in with fillings (metal-based or synthetic to match the color of your teeth), but bigger cavities they require a crown to be placed on top of the tooth or (in some extreme cases) the tooth to be removed completely. Teeth that have been removed (or teeth that have been knocked out) are usually going to have their position “in-line” grown over with new gum material if they do not have a replacement put in the space in time. However, sometimes the gums aren’t going to grow over that space because the blood clot that builds up in that socket dissipates or is reabsorbed into the body too quickly. If that happens, a dry socket situation is going to occur, and that’s bad news for sure. The nerves that run underneath the teeth are going to be exposed, and you’re talking about one of the more painful experiences a person can ever have to go through. Dry sockets are going to need to be addressed ASAP by a professional, and are usually result by a quick cleaning, a local anesthetic and anti-inflammatory/pain pills, and a specially designed bandage that keeps the socket moist and protected from outside interference. There are some reports that suggest almost 80% of all adults in the United States are dealing with at least a mild case of gingivitis, and honestly the figure could be even higher. This is a gum disease caused by bacteria that infects the gums and your teeth, and usually causes try mouth sensations, bad breath, guns that book red and swollen, and even a lot of pain. Gum disease is almost always reversible (especially during the early stages), but it needs to be addressed before it has the opportunity to really spiral out of control. For one reason or another, good oral hygiene habits aren’t quite as common place in the US as they probably should be – and certainly not as commonplace as they could be. Sure, every now and again you’ll come across someone that is almost fanatical about taking care of their smile, making sure that it is Hollywood white and perfectly aligned, but the overwhelming majority of people out there are just going through the motions of brushing their teeth once a day bright and early in the morning and then calling it good. This is a major mistake, and one that you simply cannot afford to make any longer if you want your smile to really sparkle. Thankfully, it’s a lot easier to triage your smile care and get back on track the right way so that you too have a brilliant white smile in no time at all – one free of gum disease, cavities, and all kinds of other dental health issues. It’s going to be absolutely impossible to maintain a brilliant white smile if you aren’t brushing your teeth the right way at least twice a day. Most people simply stuff their toothbrush with a little bit of toothpaste in their mouth and give it the old “once over” in the morning (and maybe once again at night if they aren’t too tired), but not you. No, you know that you need to spend at least two minutes brushing your teeth with a soft bristles and a quality toothpaste at least twice a day – but never closer than 30 minutes away from the last time that you ate. This alone will definitely upgrade your smile faster than you ever thought possible. Even though there was some pretty bad press in the early 2000’s in regards to fluoride, more and more dentists have come around to the fact that it is a critical component of modern dental care, and a big piece of the puzzle when it comes to keeping your smile happy and healthy. You’re going to want to think about going with a fluoride infused toothpaste if you’d like to boost the strength of your tooth enamel and dramatically reduce the rate of decay that you may be dealing with. Some people absolutely love flossing their teeth, while others cannot be bothered – but you’re going to want to fall squarely in that first group if you want your smile to stay beautiful. If you aren’t crazy about the idea of stuffing a little piece of string between each and every one of your teeth with nothing more than your fingers every morning (and especially every night), you might want to get your hands on floss sticks. These tiny little sticks make the job a lot more palatable foremost, and a lot more convenient! Acidic foods and drinks wreak absolute havoc on your teeth, and do their very best to melt away to have enamel until you have cavities that compromise the very structure of your smile. The best way to limit the damage that acidic foods and drinks are going to be able to do to your smile is to cut back on them as much as you can. Eliminating them entirely probably isn’t all that reasonable (who could go without juice for the rest of their days? ), but you’re going to want to do your best to try and really cut down on your acidic intake. For a bunch of different reasons, people like to use their teeth for pretty much anything and everything they can think of – instead of just using their teeth to chew! You’ll want to do whatever you can to cut back on using your teeth like a caveman bottle opener, if for no other reason than to simply avoid the kind of accidental damage that using your teeth as a multi tool can cause. Even though teeth feel pretty rock solid, they are actually quite soft, and once you crack them there a real nightmare to repair. At the end of the day, you’re going to want to try and schedule dental checkups with a dentist that you trust at least once a year – and maybe even once every six months if you’re really hoping to keep your smile on track. Most people aren’t all that crazy about visiting the dentist in the first place, but these professionals are going to be able to make sure that you are doing everything in your power to enjoy a brilliant white smile, and only they’ll be able to point you in the right direction if you need to head off a serious dental issue before it becomes a nightmare situation.